Congratulations, Knoch Tennis Singles Finalists! 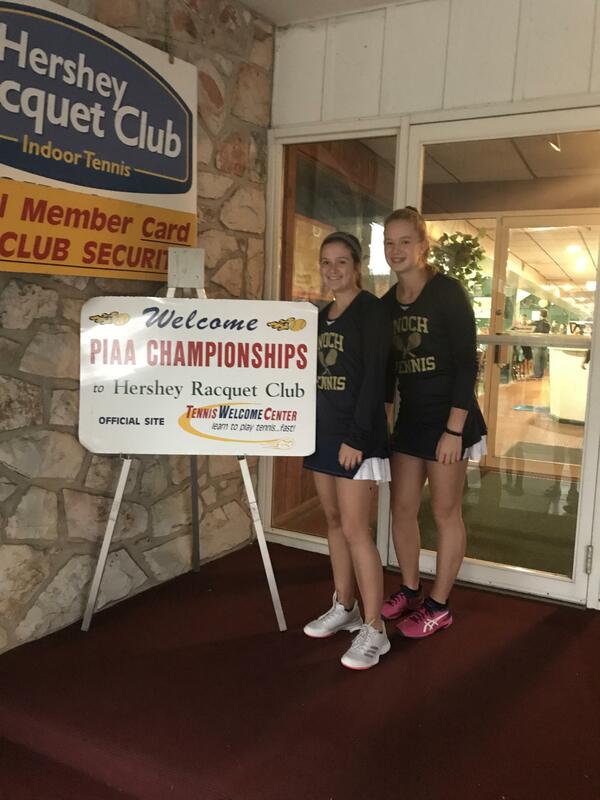 Laura Greb and Brooke Bauer competed this weekend in Hershey in PIAA State Singles competition for tennis. Brooke won her first round, then lost in the quarterfinals on Friday, finishing in the top 8 in the state! Laura advanced to the quarterfinals on Friday, and on Saturday she finished her season in the top 4 in Pennsylvania! Congratulations to Laura and Brooke, as well as their entire team, on an outstanding, LONG tennis season!